Registration is now open for the September Takt Planning (TP) workshop organized in partnership between P2SL, the vPlanner team, and Drees&Sommer. This September event marks one year since we started the 2-day workshop series on TP. It will include an additional industry day to take a detailed look at how takt is implemented on a variety of projects around the United States. Day 1 features a hands-on simulation game designed specifically to teach the concepts of TP and demonstrate how those concepts can be used to optimize flow. Day 2 includes a hands-on application of TP to an actual project. Through group activities and discussion, participants will take various trade roles and collaborate to create a complete takt plan for a project. Day 3 features presentations and in-depth discussion regarding how takt is implemented on projects. Project teams from around the US including owners and GCs will present how they have used takt on their projects followed by in-depth discussion. Confirmed presenters include Merck, Sutter Health, DPR, Messer, Boldt among others. Additional details and agenda of Day 3 will be posted soon. Understand how TP can be implemented within the broader context of the Last Planner® System (LPS). Gain an understanding of when to best apply TP. Takt Planning (TP) is a Production Planning technique that improves resource and material flow and reliability at the Phase Plan level when implementing the Last Planner® System (LPS). TP reduces variability by setting a predictable production rate for standard activities across right-sized geographic work areas. This disciplined planning approach can align not only the workflow at the site but also the overall flow of materials and information through the supply chain starting in design and moving into detailing, fabrication and delivery processes required to support the execution of the Takt sequences resulting in improved work execution. If you are implementing Last Planner(R) System (LPS) on your projects, this is an opportunity to learn about advanced production planning techniques, and, how to develop comprehensive execution strategies to improve the implementation of LPS. PARKING for a fee is available in the Southwest parking lot. 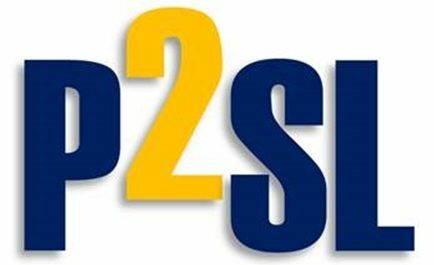 To learn more about P2SL’s Takt Planning initiative and other research initiatives underway involving P2SL member companies and researchers, please contact P2SL Research Director Glenn Ballard gballard@berkeley.edu or 415-710-5531.